Since 1994 we have taught thousands of drum students in Oakville! Our drum instructors teach rock, metal, jazz, funk, blues and many other styles. Drum language can be complex and our instructors will challenge each drum student with technical exercises designed to improve your speed and comfort. All drum students are encouraged to bring in their favorite drum parts to learn in the lessons. It’s important to learn what you want to learn. You do not have to purchase a drum kit to take drum lessons. Beginner drum students can learn with a drum pad and sticks for only $25.00. Students use our drum set at their lessons and do not have to bring anything except their drum sticks and a notebook. Q. WHAT DO YOU LEARN IN YOUR DRUM LESSONS? That’s one of the most popular questions asked by new drum lesson students. Our drum instructors make it a priority to get to know you on a personal level and to become familiar with your personal drum lesson needs and goals. We do not treat every drum lesson student the same in terms of what and how we teach. An eight year old having their first drum lesson will have very different needs than a forty year old taking up drums later in life after having had lessons as a child. The main reason to choose the Academy of Music for your drum lessons, is that we understand that every drum student is an individual. If you take drum lessons, we will work with you to make a plan that will fit your needs and musical preferences. 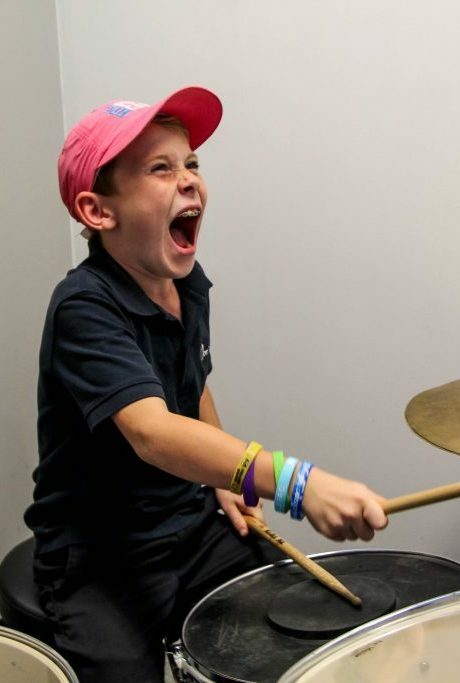 At your first drum lesson your teacher will ask you about your favorite type of music, and set goals to help accomplish whatever musical aspirations you have for yourself or your child. Our teachers have received their education from prestigious institutions such as York University, Western University, Humber College, Mohawk College, and the University of Toronto. Many of our instructors have gone on performance tours of Canada, and the US, and have over 25 years of professional performance and teaching experience. In addition to their teaching credentials, our teachers have warm personalities, are extremely friendly and strive to get to know each student and their parent on a personal level. $35.00 for each 30 minute private lesson held weekly. No long term contracts. All of our students are on a month to month basis. Drum lessons are on a first come, first serve basis so contact us today to arrange your first lesson!